Working on a near replica of the computer on the table at Tyrell Corp when Holden VKs Leon. Functions as a USB keyboard now but has room inside for mini ITX. Hi is the Holden computer is that a Compak keyboard.. 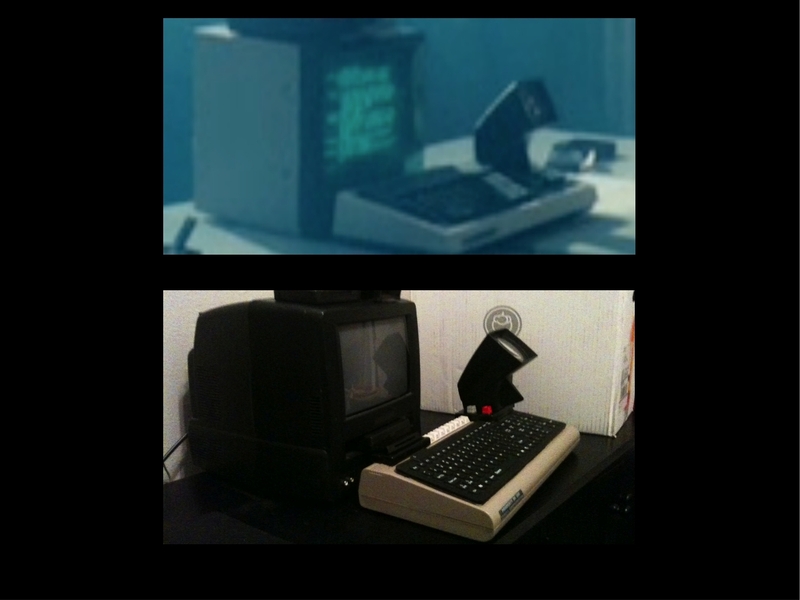 I am really interested in finding that monitor and make this.. Hoden Computer I have the phone..
Is this keyboard a commodore? It's not exact but it is the closest I've seen (and the screen prop may have been significantly modded). Google "YAESU YK-901", "YAESU YR-901", " YAESU ASCII Keyboard", or just "RTTY keyboard"
Of course I am sure you are right.. a keyboard made in 1980 would be much earlier than any computer I will note what you have written I am having dificulty finding the monitor too.. I was looking at the profile of the keyboard and noted the similarity of the Commodore Vic-20 made in 1980 and the Commodore 64 made in 1982 so what do you think of the Vic-20? I don't think it is the VIC20 or Commodore keyboard - they're both far too rounded, and the VIC20 unit has a flat "shelf" above the function keys. It also has a rather clear horizontal seam all around. Rather, I think you're looking at a pre-PC era keyboard, possibly of some generic shape that was shared between a number of different brands (like the early front-loading CD player mechanism that was used by Denon, Hitachi, JVC, & other manufacturers). If it isn't the YAESU RTTY keyboard it is something very close. Did the props folks employed on Blade Runner go to Japan to source movie hardware? If so, How about sending a callout to Japanese radio ham enthusiasts? That could nail it. I have done many interviews with the art department the small things were acquired driving around Los Angeles that is why all the kitchen stuff was Braun.. I know in the 80's there was Braun products sold in Beverly Blvd. and Robertson.. of course all this stuff would be easy to find in 1981.. 38 years later not so much... If you read my interview with Linda DeScenna you'll see she drove around LA with a large truck following her.. because of certain issues with the others in her department she ended up working alone. Any way I believe all this stuff was from Los Angeles.. Found items..
thank you for your input.. the fans here at prop summit will surely one of these days find most of the found items.